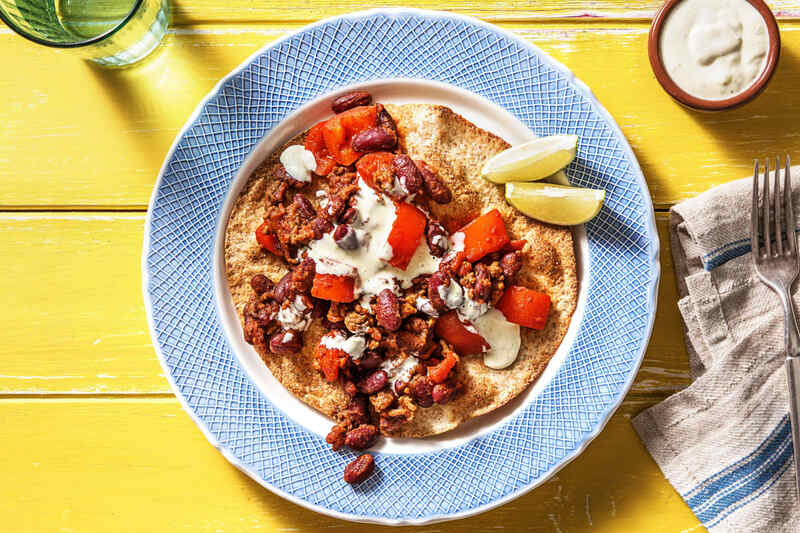 Big on flavour but short on prep, these 20 minute tostadas are about to steal the dinner time limelight. Tostadas are simply toasted tortillas, which are assembled to replicate an edible plate! 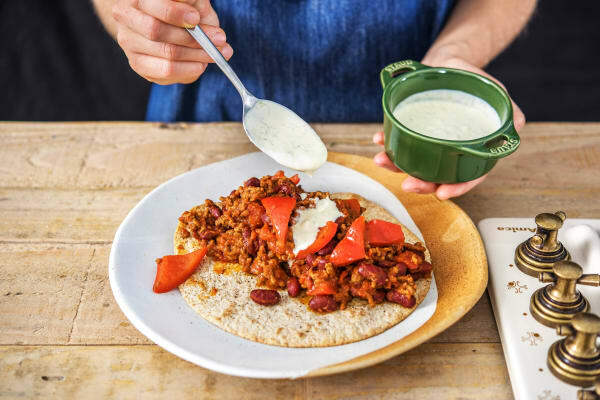 Pile them high with spicy beef, a dollop of limey sour cream and a sprinkling of coriander, and you’re good to go! Who said you needed to spend hours in the kitchen to create a masterpiece? Preheat your oven to 220°C. Heat a splash of oil in a frying pan on high heat. Add the beef mince and cook until browned, 5 mins. Break the beef up with a wooden spoon as it cooks. Meanwhile, halve the pepper, discard the core and seeds then roughly chop. 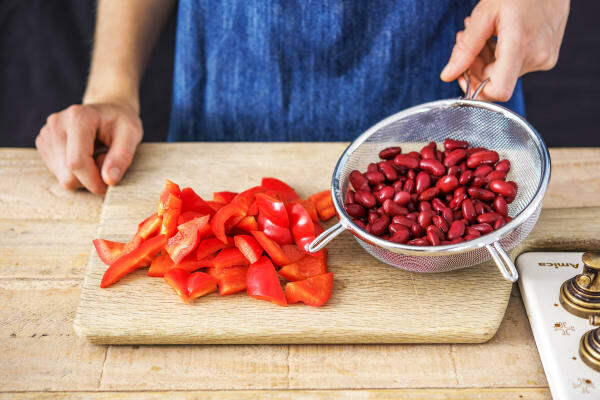 Drain and rinse the kidney beans in a sieve. 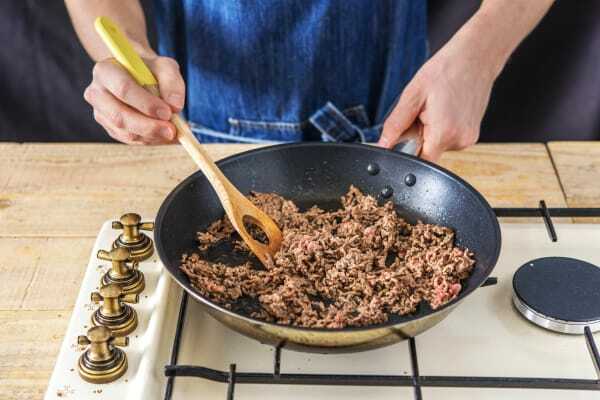 Add the pepper and Mexican spice to the beef mince and stir-fry for 1 minute. 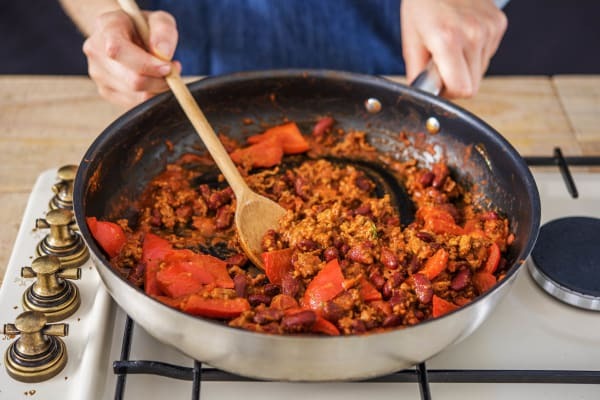 Stir in the Worcester sauce, finely chopped tomatoes, kidney beans and stock powder, stirring well to dissolve the stock powder. Bring to the boil, reduce the heat to medium-low and simmer until thick, 7-8 mins. 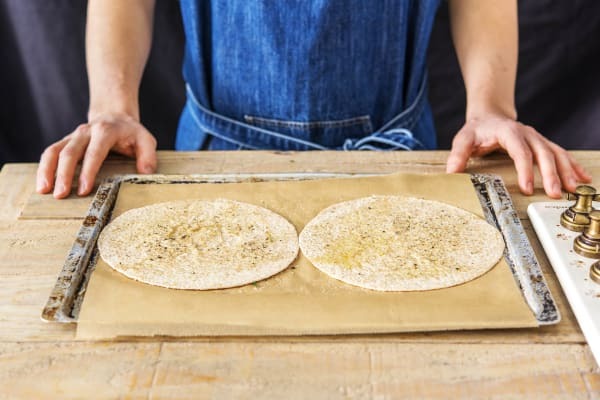 Pop the tortillas in a single layer on a lined baking tray and drizzle over some oil. TIP: We used 1 per person, but if you're hungry, use 2 per person! Sprinkle on some salt and pepper. Bake on the top shelf of your oven until crisp and golden, 5-7 mins. Pour the soured cream into a small bowl. Grate in the zest of the lime, add a pinch of salt and pepper and stir together. Chop the lime into quarters. 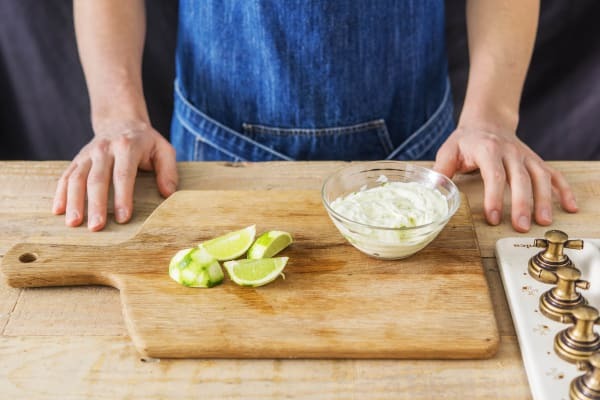 Serve the crisp tortillas on plates topped with a helping of the beef mixture and a drizzle of limey soured cream. Finish with lime wedges for squeezing over. Enjoy! Congratulations, you are seconds away from a delicious meal. Taking pleasure from your daily achievements is important for general well-being, so take this moment to appreciate what you have made. Mission accomplished!